Hampton Inn Milledgeville features a fitness centre and an outdoor swimming pool, and is 2.5 miles from the centre of Milledgeville. Free Wi-Fi and a daily hot breakfast are provided. 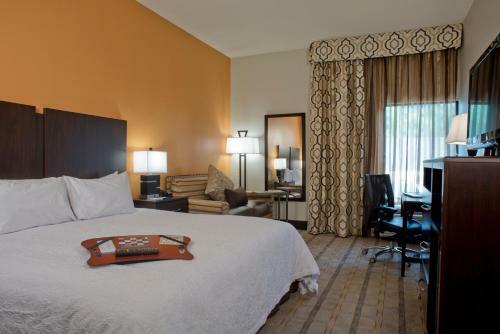 All guest bedrooms at Milledgeville’s Hampton Inn are air conditioned and feature cable TV. All rooms have a microwave and small refrigerator to give guests the comforts of home. Hampton Inn Milledgeville has a business centre on site and a launderette for guests. Meeting facilities are also available as well as a 24-hour reception. The hotel is 3 miles from Milledgeville Golf and Country Club, and 7 miles from Berry Farm Conservation Area. It is 2 hours’ drive to Atlanta International Airport. 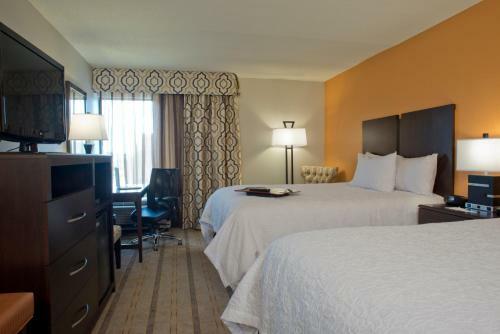 the hotel Hampton Inn Milledgeville so we can give you detailed rates for the rooms in the desired period.